Paige started gymnastics at the age of 4 at Hoyland Leisure Centre and progressed into the Elite Squad competing for over 9 years in both individual and team gymnastics, culminating many medals, trophies and titles. Paige is a Level Three Women’s Artistic Coach and is looking forward to beginning her Level Four Women’s Artistic Coaching Qualification. Paige has a 100% Pass Rate when it comes to mentoring and all coaches have passed their Level One and Level Two Qualifications with mentoring and support from Paige. Paul is the Club Manager, he is in charge of the general set up of the gym. Paul also purchases all the equipment from the supplier and ensures that the equipment is in the best possible condition. Abbie is a qualified Level 2 Women’s Artistic Gymnastics Coach, Abbie was a competitive Women’s Artistic Gymnast. Abbie has recently graduated her Sport and Physical Eduction Degree from Sheffield Hallam University. Abbie has attended one Level Three Module for Women’s Artistic Gymnastics. Abbie works with our Foundation, Beginner and Advanced Gymnasts, as well as two groups of Development Gymnasts born in 2008 and 2007. Daisy is a qualified Level 2 Women’s Artistic Gymnastics Coach, Daisy is an ex competitive Women’s Artistic Gymnast. Daisy is currently studying Sport, Health, Exercise and Fitness at Leeds Beckett, Barnsley Campus. Daisy has attended two Level Three Module for Women’s Artistic Gymnastics. Daisy works with our Foundation, Beginner and Advanced Gymnasts as well as two groups of Development Gymnasts born in 2009/2010 and 2005/2006. Sophie is a Level Two Women’s Artistic Gymnastics Coach, Sophie is an ex competitive Women’s Artistic Gymnast. Daisy is currently studying School Sport at Sheffield Hallam University. Sophie has attended one Level Three Module for Women’s Artistic Gymnastics. Sophie works with our Foundation, Beginner and Advanced Gymnasts as well as a group of Development Gymnasts born in 2011 and 2007. Amy joined our Adults Gymnastics class in September 2016, Amy is an Ex GB Squad Gymnast! Amy expressed an interest in coaching and began coaching our Saturday Developmen Squad sessions. Amy is a Level 1 Women’s Artistic Gymnastics Coach. Amy is also a senior physiotherapist at Claremont hospital in Sheffield. Amy works with a group of Development Gymnasts born in 2005/2006. Rachel recently joined the coaching team after one of the parents recommended the club to her at her daytime job. Rachel was Scottish Champion three years in a row! Rachel is a Level One General Gymnastics Coach. Rachel works with our Development Squad Gymnastics born in 2007 and 2008. Olivia is a Level One General Gymnastics Coach, Olivia is hoping to complete her Level 2 Women’s Artistic Gymnastics Qualification, Olivia is an ex competitive Women’s Artistic Gymnast. Olivia is currently studying at Barnsley College. Olivia works with our Beginner and Advanced Gymnasts as well as a group of Floor and Vault Development Gymnasts born in 2011 and 2010. Charlie is a Level One General Gymnastics Coach, Charlie is hoping to complete her Level 2 Women’s Artistic Gymnastics Qualification, Charlie is an ex Women’s Artistic Gymnast. Charlie is currently studying Sport at Barnsley College. Charlie works with our Beginner and Advanced Gymnasts. April is a Level One General Gymnastics Coach, April is hoping to complete her Level 2 Women’s Artistic Gymnastics Qualification, Olivia is an ex competitive Women’s Artistic Gymnast. April is currently studying at Thomas Rotherham College. April works with our Foundation, Beginner and Advanced Gymnasts as well as a group of Floor and Vault Development Gymnasts born in 2009. 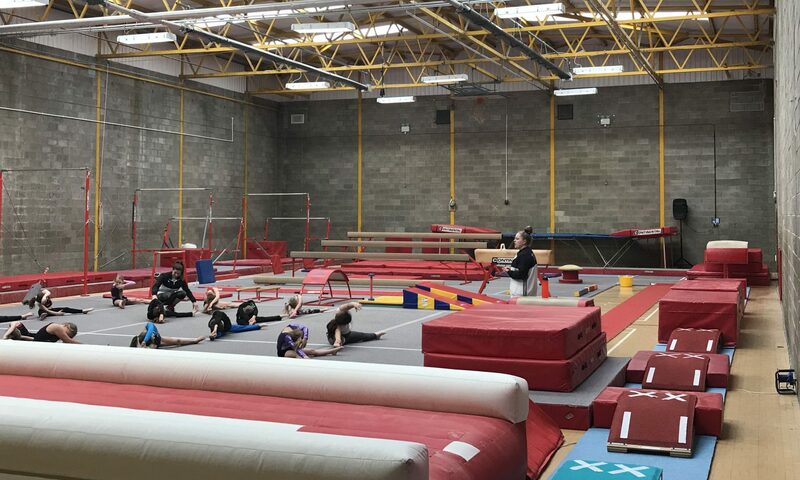 Lucy is a Level One General Gymnastics Coach, Lucy is hoping to complete her Level 2 Women’s Artistic Gymnastics Qualification, Lucy is an ex competitive Women’s Artistic Gymnast. Lucy is currently studying at Notredame Sixth Form. Lucy works with our Foundation, Beginner and Advanced Gymnasts. Byron is one of our senior gymnasts who has shown an interest in gymnastics coaching. Byron has started volunteering and assisting with classes to gain coaching experience under the direction of a qualified coach. Byron aspires to complete a Level 1 General Gymnastics coaching qualification as soon as he turns 16. Byron works with our Foundation, Beginner and Advanced Gymnasts alongside a qualified coach. Chris is one of our senior gymnasts who has shown an interest in gymnastics coaching. Chris has started volunteering and assisting with classes to gain coaching experience under the direction of a qualified coach. Chris aspires to complete a Level 1 General Gymnastics coaching qualification as soon as he turns 16. Chris works with our Foundation, Beginner and Advanced Gymnasts alongside a qualified coach. Matt is one of our senior gymnasts who has shown an interest in gymnastics coaching. Matt has started volunteering and assisting with classes to gain coaching experience under the direction of a qualified coach. Matt aspires to complete a Level 1 General Gymnastics coaching qualification as soon as he turns 16. Matt works with our Foundation, Beginner and Advanced Gymnasts alongside a qualified coach. Hollie is one of our ex senior squad gymnasts who has shown an interest in gymnastics coaching. Hollie has started volunteering and assisting with classes to gain coaching experience under the direction of a qualified coach. Hollie aspires to complete a Level 1 General Gymnastics coaching qualification as soon as she turns 16. Hollie works with our Foundation and Advanced Gymnasts alongside a qualified coach. Madison is one of our senior squad gymnasts who has shown an interest in gymnastics coaching. Madison has started volunteering and assisting with classes to gain coaching experience under the direction of a qualified coach. Madison aspires to complete a Level 1 General Gymnastics coaching qualification as soon as she turns 16. Madison works with our Advanced Gymnasts alongside a qualified coach.